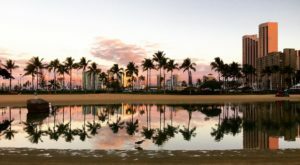 Most people are surprised to learn that the Aloha State is home to countless incredible farms, ranches, and sprawling fields. 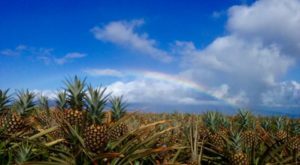 From cacao, vanilla, and local coffee farms to cattle ranches, organic spirit distilleries, and even honey bee and goat dairy operations, the Hawaiian Islands are home to countless incredible agricultural ventures. And while these farms are all truly one-of-a-kind, this destination stands out in a class all its own. 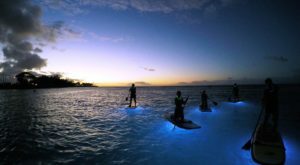 Though this spot might be off-the-beaten-path, it’s popular among tourists, and if you haven’t been before, you absolutely must add it to your Hawaii bucket list. 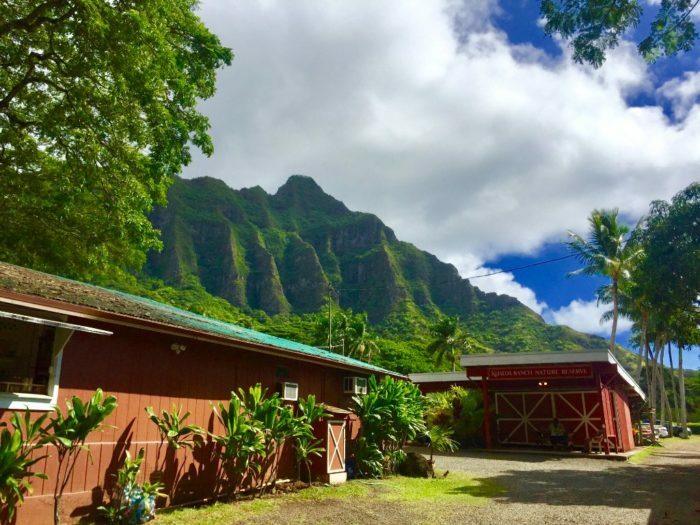 Welcome to Tropical Farms Macadamia Nuts, a stunning slice of paradise nestled on the windward coast of Oahu north of Kaneohe near Kualoa Ranch. 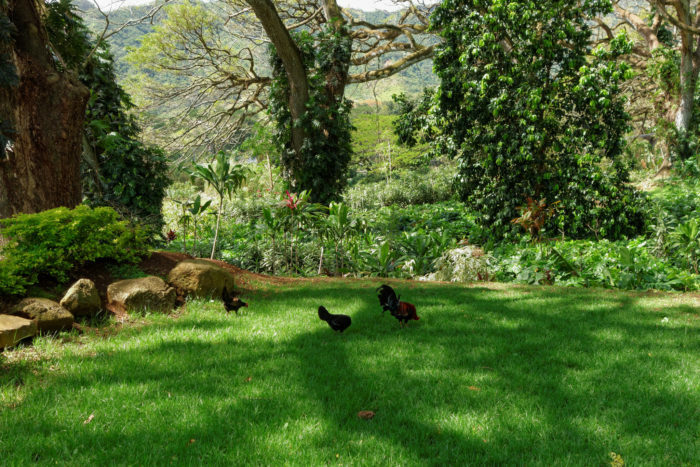 Though this farm doesn’t top most travel must-visit lists, we think everyone should visit at least once — especially if you call Oahu home. 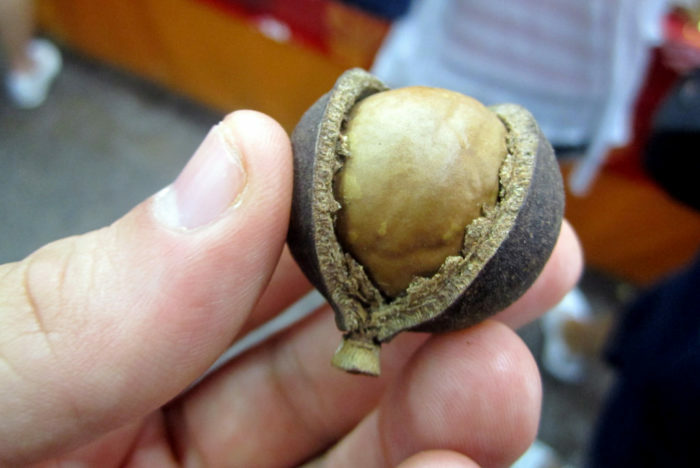 Fun fact: the world-renowned Hawaiian macadamia nut is not actually native to Hawaii. 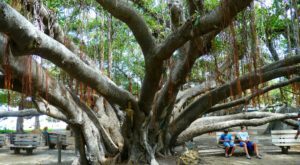 The macadamia nut tree was brought to the islands from Australia, and Hawaii is credited with creating the industry for the scrumptious nut. 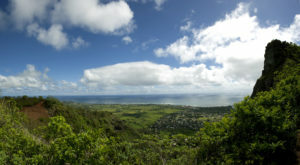 This family-owned operation was founded in 1987, and it might just be one of the most local tourist attractions on the island. 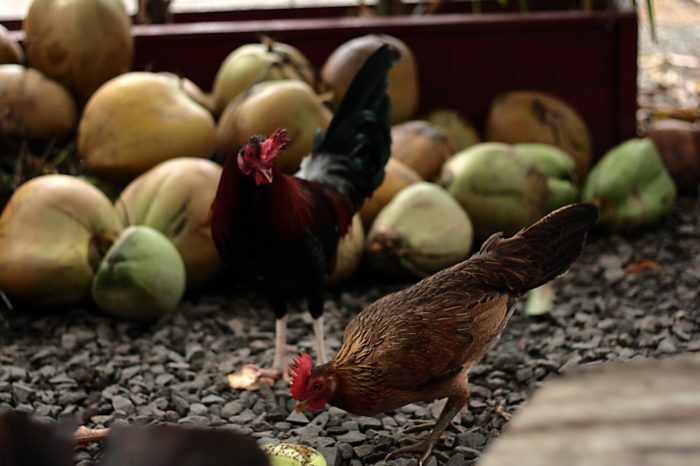 ...with roosters and chickens roaming the property and pecking on macadamia nuts and their shells, Tropical Farms is the perfect embodiment of the Hawaiian spirit. 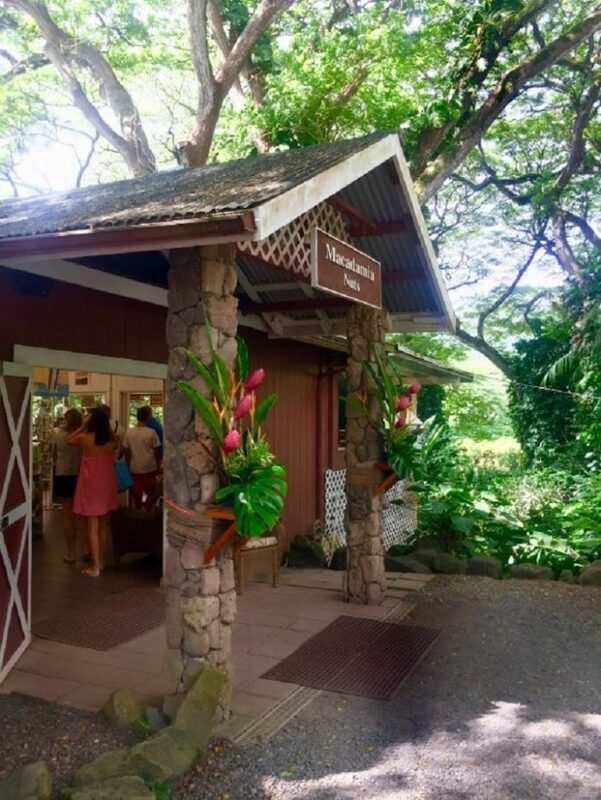 While you can simply enjoy free samples of both macadamia nuts and coffee as you browse through the farm’s store — where you’ll find, of course, macadamia nuts, as well as jewelry, art, bath products, and other souvenirs — we suggest embarking on their Ali’i Tour. Each tour, which lasts approximately one hour, begins with boarding a bus for a tour of the farm. 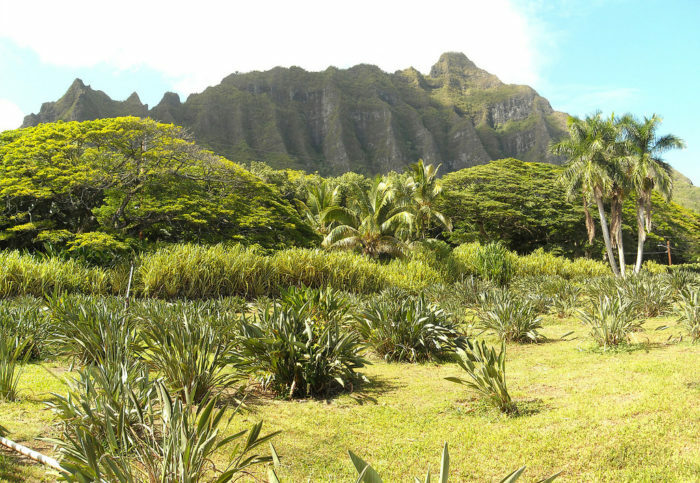 Along the way, you’ll see the plantation and fishpond, with your guide pointing out and describing Hawaii’s native and non-native plants. 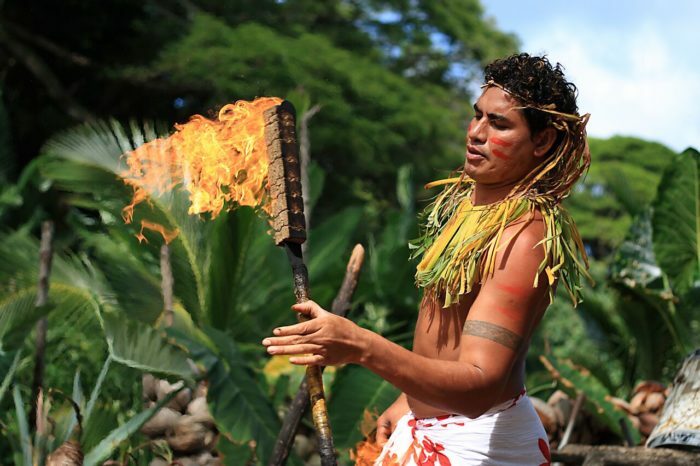 Soon, you will arrive at an amphitheater for a show, where you will not only learn all about Hawaiian foods and customs but how to open coconuts and crack macadamia nuts. 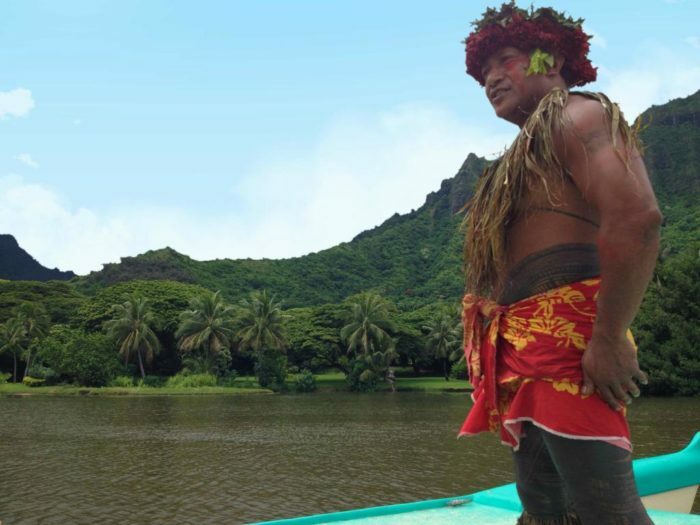 Next up, a ride around the fishpond: discover the history of this area, including recent events such as the filming of various television series and movies, including Gilligan’s Island, Lost, 50 First Dates, and Along Came Polly. 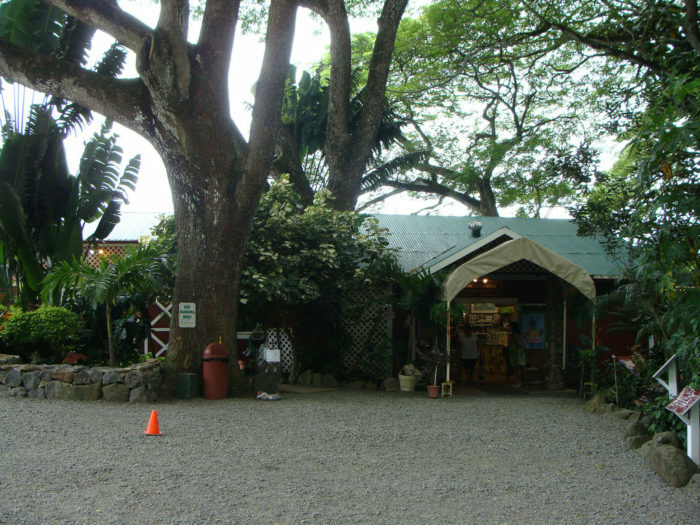 But that’s not all: the tour ends with an up-close look at the farm’s fruit trees, where you will have the opportunity to sample guava and starfruit right off the tree, before heading back to the store. 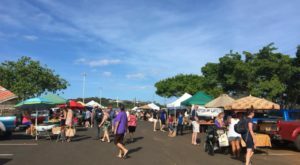 If you find yourself looking for an authentic, off the beaten path experience in Hawaii, Tropical Farms Macadamia Nuts fits the bill perfectly. 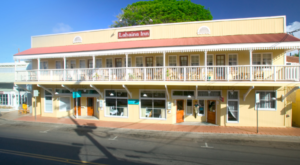 After all, with gorgeous views, Hawaiian history, free samples, and more, what more could you ask for? 9 a.m. to 5 p.m. For more information, visit their website or follow them on Facebook. 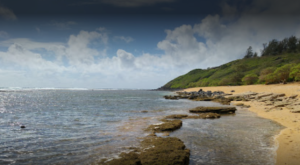 If you’re not local to Oahu, you can even order their macadamia nuts, coffee, and chocolate online. 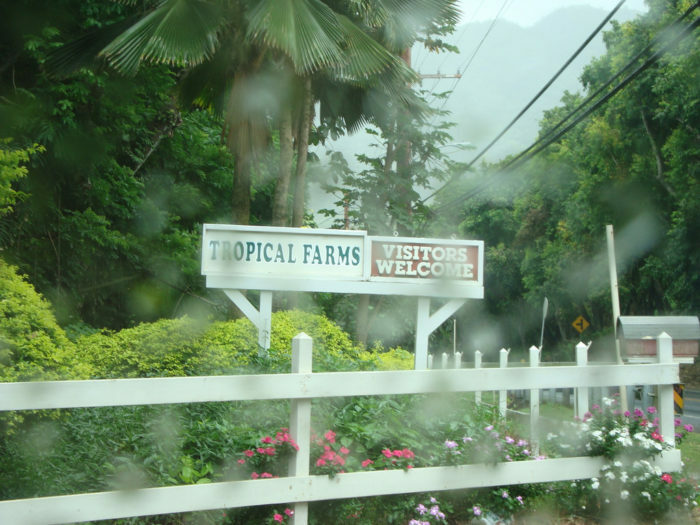 To discover another incredible farm found right here on Oahu, click here.